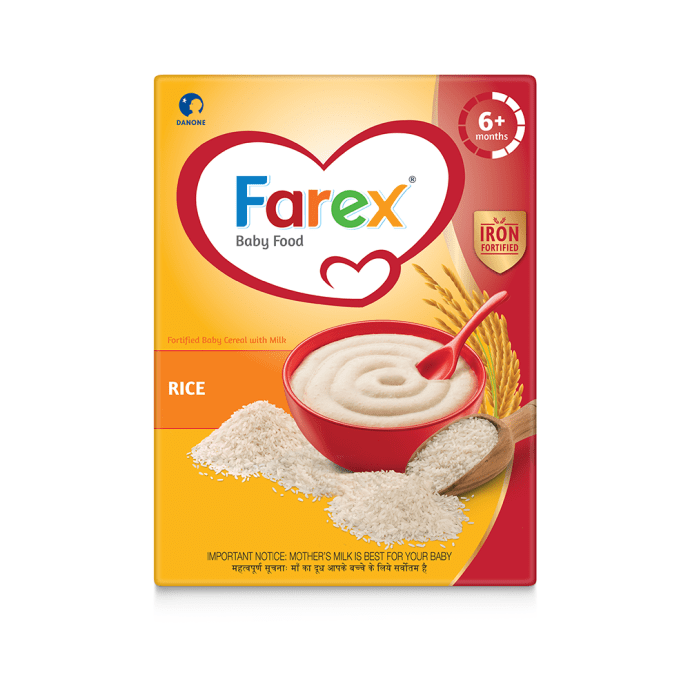 Farex Rice is enriched with 21 essential nutrients. Contains Iron, Choline, Taurine, Inositol and Omega 3,6 fatty acids to support brain development. Provide 21 essential Vitamins & Minerals to support height & weight. Offers the variety of texture by age to help support baby's developing mouth & jaw muscle. Contains grains and fruits to help develop healthy eating habits. As directed by the pediatrician.